The long-awaited completion of a project that will soon bring the world’s cruise ships to the shores of Puerto Peñasco just got a boost of good news in June when Gov. Doug Ducey of Arizona and Sonora State Gov. 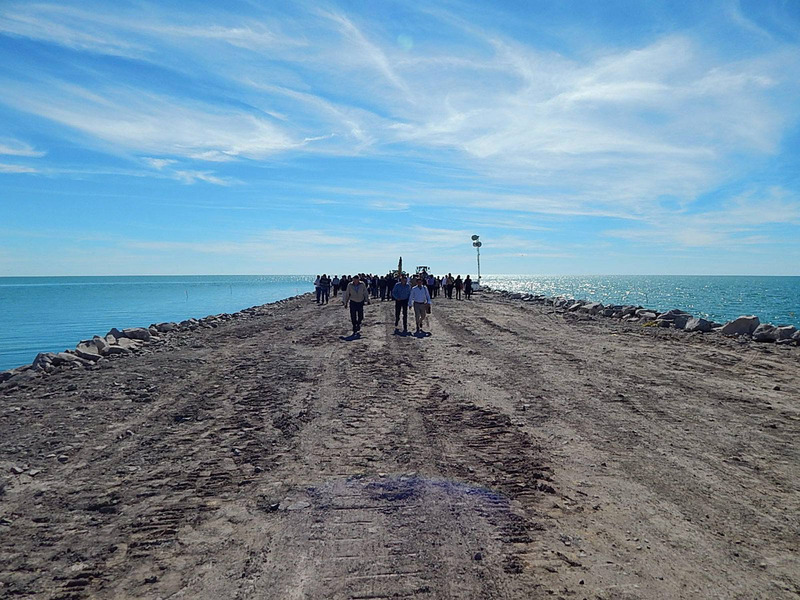 Claudia Pavlovich created a memorandum of understanding to ask the Mexican government to contribute the remaining funding for the construction of the cruise port in Puerto Peñasco and to allow firms in Arizona to service the cruise ships docking at Puerto Peñasco, also known as Rocky Point, in the Sea of Cortés. Gov. Claudia Pavlovich was confident that the agreement would help free up federal funds to finish the job and pointed out the advantages of cruise ship services coming from Arizona rather than Hermosillo, Sonora’s capital. Hermosillo is six hours from Puerto Peñasco while Phoenix is half the distance, making it more logical that the supplies the ships need — from linens to flowers for 3,000 passengers at a time — come from Arizona. Although the port is only about 50% completed, Sonora Tourism Secretary Héctor Platt Mazón said construction of the pier and terminal can now be expected to resume. According to the report, the project is expected to create thousands of jobs in the state of Sonora while also create economic opportunities for Arizona. This is the moment many investors here in Rocky Point have been waiting for. It is expected that when the terminal opens, prices for condos, existing homes and vacant land will all spike in price due to the new influx of tourism and demand. Currently in 2017, prices for vacant land, existing homes and condos are all on the rise and are moving up to 2008 levels, before the real estate crash. With the addition of the cruise port you can imagine the impact it will have on real estate. Now is the time to invest in Puerto Peñasco if you ever had the consideration. According to real estate sources there are many deals available on lots. For example beach front lots in Las Conchas start at $199,000 and if you choose a lot with a short walk to the beach prices start as low as $19,000 and with the average cost is $25,000 plus closing costs. Prices for land are still reasonable and if you ever wanted to build your dream home now is the time. 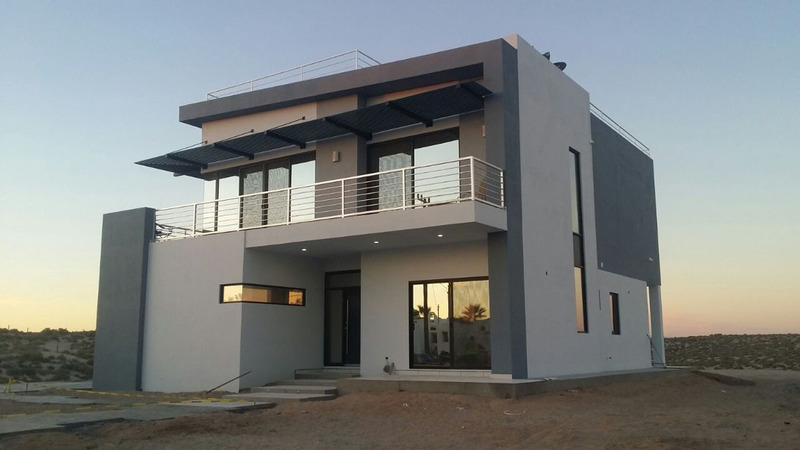 Building your dream home in Puerto Peñasco is not a difficult process and there has never been a better time to start construction, given the strength of the dollar and the competitive lot prices. But if you are considering building a home soon, make sure to protect your money by choosing a company who abides by Mexican Federal Labor Laws, has a good reputation in the community, who uses American Construction Contracts and American Escrow accounts. The bottom line is whether you are considering building your dream home, purchasing a condo or existing home now is the time to make your move. Prices are rising and this is an opportunity to get in front of the opportunity rather than wishing you had years down the road! Once the cruise terminal opens these types of current low prices will only be a memory. About the author: Joseph Sanchez is president of Rocky Point Home Builders a design/build contractor specializing in custom home design, construction and renovations. He resides here in Puerto Peñasco with his wife and two children and is originally from Chicago. For more information email him at sales@rockypointhomebuilders.com. The port is currently 50% complete and according to Sonora Tourism Secretary Héctor Platt Mazón construction of the pier and terminal is now expected to resume which is a great news for the city. If you are considering building your dream home now is the time to make your move because prices are slowly rising in 2017 but and when the terminal is completed prices are expected to spike due to the influx of tourism and new demand.